In my upcoming book, The Klockwerk Kraken, I have a hero named Teo Houdin and he is a far distant descendant of the Houdin family of France. Most people are aware of the magician that actually married into the Houdin family–Jean Eugène Robert-Houdin, the French illusionist that Houdini took his name after. 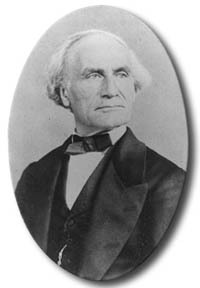 But Robert-Houdin began life with the last name Robert, the son of a watchmaker in Blois, France. Jean Eugène Robert wed the daughter of a well-known Parisian horologist, Josèphe Cecile Houdin. And for business reasons, he petitioned the government to hyphenate his last name with that of his bride, becoming Robert-Houdin. The Houdin family was known for handcrafting each piece of clockwork that went into their creations. And while working in their shop, Robert-Houdin began to tinker with mechanisms and automatons. He built marvelous inventions that grew oranges on stage, performed cup and ball magic tricks, sang like birds, and danced across tightropes. In my story, The Klockwerk Kraken, it is his nephew, the child of the younger brother of Robert-Houdin’s wife, that joins the illusionist in his mechanical mania. And from that fictional nephew descends more clockmakers, more magicians, and more makers of automata. Until one, an early settler on the planet of Celos, someone whose family left Earth and whose many times great great grandparents submitted to genetic manipulation to allow their children to better survive in a strange little corner of the galaxy. This early Celosian had a few extra limbs to make his day job easier as one of the hundreds of mechanics that keep the inner workings of the artificial satellite ring around the planet functioning. And who at night goes home to make strange little clockwork animals that blink and stretch and awaken to life. That early Houdin settler on Celos, gave the little clockwork octopus in the story his spark and movement. And it’s that tiny piece of mechanical life that will remind my hero, Teo Houdin, that home is still waiting for him, no matter how far away he roams. It won’t be long now until publication. I hope you’ll keep watch for more about Teo and his lover Jimenez as they find each other, and love, on the far reaches of the galaxy. I’m so excited to share it with you!